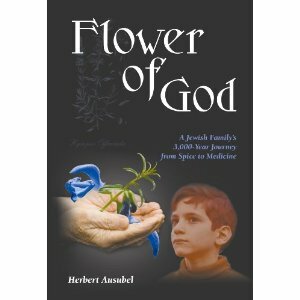 Flower of God: A Jewish Family’s 3,000-year Journey from Spice to Medicine is an incredible book, which takes the reader on the paternal ancestral road of one family over a 3,000 span. The book holds a wealth of information regarding Dr. Herbert Ausubel’s family, which has been researched in depth, not only by him, but by others, including historians. The extensive research and familial stories take the reader around the world, literally. During times of Israel being conquered by Assyrians, to several places in Europe, to Australia, China, Siberia, back to Israel and to America, the tapestry of time is woven with extremely beautiful prose, prose that is almost poetic. Dr. Ausubel’s research is intricate, and the stories reflect three millennium, generation upon generation of family members who lead peaceful and productive lives. But, within each situation, they had to flee their environment in order to survive, due to antisemitism. There were so many fascinating and intriguing family accounts. The story in the beginning of the book, entitled Azuvel, about Avraham and his son Moshe journeying to the Temple of Solomon, was filled with word imagery that filled my senses in every respect. The story was told with extreme detail and magnificent prose. I was stunned while reading it, and caught myself with my mouth open in awe, as I could picture the very essences that Dr. Ausubel’s prose described. The sacrificial aspect was extremely detailed, and the fact that Avraham and his son were privy to the innermost workings showed the respect bestowed upon Avraham. His “azuv” spice, derived from the blue-flowering hyssop plant was a necessary aspect of the ritual, used for cleansing of those entering the Temple, those who might have been in the presence of the dead. It was a masterful story, a story filled with the wonder of the Temple interior and wonder of ritual within its walls. I enjoyed every story within the pages, and reading the book was an education in itself, both historically and familial. Dr. Ausubel described each era thoroughly, as far as word descriptions of clothes, food, the towns and cities and their architecture, and daily life within each era was exceptionally documented. The section on the family journey across Siberia, the long and arduous way, in order to avoid the soldiers and authorities is extremely gripping. Persevere, the ancestors did, through every hardship and horrendous situation, they never lost their faith, never gave up, and held steadfast to their beliefs and ideals. The hardships that the generations of ancestors faced were magnificently stated, and each generation had its own compelling quilt to add to the family tree. Dr. Herbert Ausubel’s writing is masterful, exquisite, filled with word-images that paint a beautiful tapestry of his ancestors and their struggles against all odds. Flower of God is a compelling read and one that will leave you breathless at times. It is a book that is historically relevant and one that encompasses historical importance. I highly recommend it to everyone. 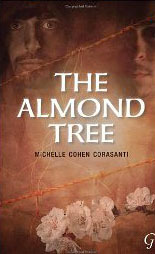 The Almond Tree, by Michelle Cohen Corasanti is a brilliantly written novel of courage, loss and redemption in a world that constantly shatters the lives of those living on occupied land. The story is a haunting reflection on Ichmad Hamid’s family and the events that controlled their lives. Ichmad is a brilliant boy, with a mind that is infused with mathematical genius. At the age of twelve his life and the lives of his family members are uprooted with the confiscation of their home, and with his father being jailed for terrorism. These events are the beginning of Ichmad’s emotional and physical journey to try to improve the condition of his family, although the odds are against his succeeding. In a world where the Palestinians have no stronghold over their homes, their belongings and their lives, Ichmad’s father directs him, through correspondence, to take the more peaceful route, and not to harbor hatred in the face of extreme adversity. His mother, on the other hand, holds resentment for everything inflicted on the family, and never fails to verbalize her feelings. His father’s strength, even though he is behind bars, shines through, and his words of encouragement lead Ichmad down the path towards self-fulfillment, not only for himself (Ichmad), but also for his family’s welfare. Ichmad is a survivor, a power of mental strength within the confines and restrictions set before him. His sense of selflessness is the force that binds him to his goals, and binds him to his family. He strives to overcome the adversity set before him, and works himself to the bone in order to provide for his family, while at the same time committing himself to his university studies. His studies lead him to an Israeli teacher, a man who is consumed by events of the Holocaust. His hatred for Ichmad is apparent, yet Ichmad perseveres through all of the anger, and shows not only his strength of character, his brilliant mind, but also his desire for peaceful solutions within the realm of both sides of the border. His genius in the area of physics helps him complete his goals, and accomplish what nobody thought he could, including his teacher. Corasanti is a Jewish American, and a person whose sensitivity to both sides of the Middle East conflict is obvious within the pages of her beautiful prose, and with her presentation of a story which is usually told from the Israeli side, and not the side of the repressed Palestinians. She puts a compelling light on the events of the daily lives of the Palestinians who struggle to survive under harsh and often cruel forces. The book is a painful read, a poignant read, and an inspirational read. The messages are clear, and Michelle Cohen Corasanti vividly paints a picture of a family in limbo, and within the family, a son, named Ichmad, who strives for peaceful answers and for forgiveness under the umbrella of boundaries in constant conflict. I was caught up in the struggles and events that the family went through. There were times that I was in shock over situations that were so graphically depicted, I couldn’t believe what I was reading. The book was gripping, and the pages consumed me with a deeper understanding of the human factor involved with the ongoing conflicts in the Middle East. Humanity, at its worst, is portrayed, as well as human nature at its best. The Almond Tree will stay with me for a long time…the story is so compelling and left me with so much to ponder regarding the human condition and regarding loss (in all of its forms) and regarding dignity and redemption. Michelle Cohen Corasanti is masterful with her word-images. I highly recommend The Almond Tree to everyone. I am sorry for being away for a couple of weeks…I have had the flu, and am almost back to 100%. Anthologies and Collections: Jewish Jocks: An Unorthodox Hall of Fame. Women’s Studies: The Men’s Section: Orthodox Jewish Men in an Egalitarian World. Visit the Jewish Book Council to see the list of the authors of the above winning books. You will also be able to see the finalists in the various categories. I have read a few of the books, and will definitely be reading more on the list. Mazal Tov! Congratulations to everyone involved! The Life of Pi, by Yann Martel. I read the book when it was first published, years ago, and enjoyed it. I enjoyed the film, as well. Les Miserables, by Victor Hugo. These are just a few, and there are so many more I could name, hundreds for sure. When viewing a film adapted from a book I have read, I try to see the film for what it is, and not compare it to the book. I have found it works best for me that way. If I try to compare, I usually end up not enjoying the movie. I do not see a film first. Any film transitioned from a book, is one I see only if I have read the book. 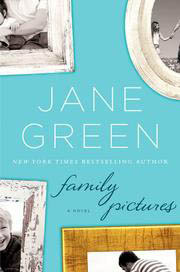 Family pictures, by Jane Green, was a fast-paced read for me, and a book telling detailing the story of family dynamics. Sylvie, the main character, is more or less set in her routine, and her life is defined by her daughter, Eve, a child from her first marriage to Jonathan, who is deceased, and defined by Mark, her current husband. Her daughter is set to leave for college, and Sylvie finds herself dwelling on how to cope with the situation. Her house feels empty. 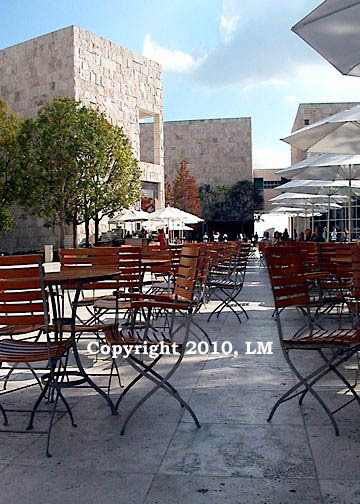 It feels empty more so because her husband Mark is constantly traveling for business. Sylvie has doubts, at times, about Mark’s fidelity, and fantasizes about him being unfaithful. When he returns home or when she hears his voice on the phone she releases her doubts. Her eyes are clouded over, and she can not, or does not, want to see Mark for his true self. Eve has eating disorders (yes, plural), and Sylvie is trying to contend with those issues as best she can. She is trying to be supportive and her life revolves around getting the medical attention and psychological help that Eve needs. Eve eventually finds herself in New York City where she meets a young woman named Grace. Grace invites her to her home, and it is there that the family dynamics are thrown into upheaval. From that day forward, life will never be the same in Sylvie’s household, or the household of Maggie, where the life-altering incident occurred. The reader is taken on a journey of love, anger, depression, obsession and the dysfunctional family interactions of two families. I will not go into detail any further, as the story will be spoiled. The writing is vivid as far as the word-imagery is concerned. The family dynamics are detailed with concern, love and warmth. The secrets within the pages ring of some incidents depicted in the news that have occurred within the past two or three years. The story line moved along, and was not one that was difficult to become involved in. Jane Green is excellent in depicting families in distress. The reader is left to ponder marriage life and whether the individuals involved in the relationship truly know each other. Does a comfortable life overcome the realistic interactions of the spouses? Does complacency blind one to the external forces that play havoc on the marriage? These are just two of the questions the reader will find themselves asking while reading Family Pictures. On a scale of one to five, with five being the highest rating, I would give it a four. Sit back, sip your favorite beverage, have a scone and jam, relax, and read. The list below is one which shows a few books that are of interest to me. Each one looks, to me, to be fascinating. Some are fiction, some non-fiction, blending different genres. The Universe Within: Discovering the Common History of Rocks, Planets and People, by Neil Shubin is a science book that sounds intriguing regarding why we look the way we do in the scheme of things. Fans of Bruce Springsteen will love the biography, Bruce, by Peter Ames Carlin. Joseph Roth: A Life in Letters, sounds like a fascinating look at the man through his letters. If you are a Neil Gaiman fan, his latest adult book, The Ocean at the End of the Lane, will be on sale 6/18/13. Jezebel, by Irene Nemirovsky, is a must-buy for me. A Perfect Fit: The Garment Industry and American Jewry, 1800-1960, is a book that sounds fascinating, to me. Lone Wolf, by Jodi Picoult has a theme that sounds like a story line that gives much to ponder. Study the Panther!, by John Banville, looks like a compelling read regarding Rainer Maria Rilke. Hoping your Monday is a good one! Although the novel, The Life of an Unknown Man, by Andrei Makine, is 208 pages long, its short length does not lessen the compelling story line. The novel brings the reader an extremely well written descriptive of Russia, seen through two main characters. The first one is a man named Ivan Shutov, a Russian who has been living in Paris for about twenty years. He is a writer, aspiring to write that epic novel, a novel similar in style to Anton Chekhov and Leo Tolstoy. He lives and breathes the classic Russian authors, and compares his current life experiences to their writings. He is wrapped in dreams and fantasies, and the essence of life revolves around Russian Literature. He values their ideals that he reads within the pages of their books. Shutov is approximately fifty-years old, and old enough to be the father of his former lover, Lea. After many discussions and arguments (some over Chekhov) he is brutal in his verbal attacks on her opinions. After a while, she became disgusted and fed up with him and his lack of emotional commitment. She left him for a man her own age, and Shutov has great difficulty dealing with her departure. He can not stop thinking about her, and obsesses on her. He feels a void, and decides to take a trip to St. Petersburg, Russia, to revisit his past, a past he has glorified in his memories, and one he has not viewed realistically. When he arrives, he sees that things are not what they were in the past. Communism reared its ugly head with brutal force to the Russians. The country has gone through an upheaval, and it has collapsed. The citizens have become westernized in their thinking, and become materialistic in their approach to life. This attitude has a shattering affect on Shutov. While there he meets up with a former lover named Yana. They had a fling while students, and she is not the same person he knew. How could she be after living through the changes and events her country has gone through. He encounters an elderly man named Georgy Lvovich Volsky, living in a room within Yana’s apartment complex. Yana and her son have told him that Volsky doesn’t speak, and is paralyzed. To make a long story short, Volsky does eventually speak to Shutov. And, the tales he tells are incredible accounts of the love of his life, Mina, and of his experiences during Leningrad’s siege, and his military service to the country. The times were horrific, horrendous moments were prevalent, food was scarce, life was lived by barely hanging on. Volsky’s story is vividly depicted by Makine, and nothing is spared in his relaying it. Throughout the pages, the reader can not help but grasp the devastation and the brutality of the times. One also gains a sense of the individual, as a separate being, one who has weathered all the forced events. The reader also gains insight into the philosophy of the individual as part of the whole in the connection of community, the military and the country. The title, The Life of an Unknown Man is very fitting, within these aspects. Makine is brilliant in displaying both modes within the pages. He also makes the reader ponder the worth of a human. Volsky went through so much, yet he was not validated for his efforts. He went unrecognized in an environment that was not conducive to acknowledging accomplishments. The time periods that encapsulated his life achievements seemed almost for naught. Yet, Volsky did not view it that way. He saw beauty in nature, in music, in theater, and constantly saw the possible out of what others saw as impossible. Volsky saw his life in a positive manner, and saw his participation as his allegiance to Russia. Makine’s message was clear, his prose depicted with visual clarity. The suffering and the lives lost were a minute part of the entirety. The sentimentality of the past can hinder people in ways they can not imagine. It was a harsh lesson for Shutov. The past caught up with him, and he was able to distinguish the reality of the Russia he had left behind, and the reality of the Russia it had evolved into. I applaud Andrei Makine for his brilliance and for his magnificent writing. The novel was a fascinating look at the history of what was then known as Leningrad (now St. Petersburg) and an intriguing read. He took me back to eras of harshness, and within the story line I found illuminations of hope resonating, strongly. 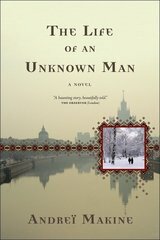 I recommend The Life of an Unknown Man to everyone.